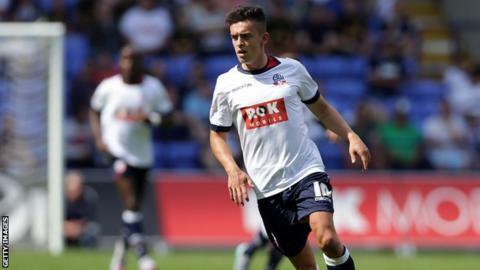 Bristol City manager Steve Cotterill says the club will not be signing Bolton striker Zac Clough. The Robins have had a £2m bid for Clough accepted by Bolton, but the player has chosen not to sign. "That was has not got any more legs in it," Cotterill told BBC Radio Bristol. "The agent said the deal would need to be a head-turning offer. We made an offer but it wasn't head-turning enough. I think it was good and fair and one that fits with our players." Cotterill added: "In the end it was a no-go, but I still believe we were right not to pay what his agent wanted. "I don't think he (Clough) was being greedy. I understand it and I wish him all the best for the rest of the season. There's no animosity there." Scoring tips: Scoop, toe-poke or Yaya? Read more on Pat Nevin analysis: Scoring secrets: Toe-poke, scoop or the Yaya?